I share some of the concerns Steve Krause and Alex Reid have expressed about the five-week E-Learning and Digital Cultures MOOC offered by the University of Edinburgh in which more that 41,000 people are participating. Alex notes the reductive ways in which the introductory readings are framed, pointing out that the engagement with “Prensky’s digital immigrants and digital natives” terminology “is an unproductive and even damaging perspective” but observing that “as with the utopian/dystopian discourse, perhaps the concept is to move people away from these positions.” I’m with him there, and I’ll add that this is a strategy many of us have used in our own teaching: to begin from a perhaps obvious and engaging perspective and then to gradually complicate matters. I’m not sure I agree with his complaint about the content of the readings, though, particularly in his assertion that “[w]hile technologies do not determine culture, they clearly participate in shaping the world (both naturally and culturally if you wish to make those problematic distinctions)”: well, depending on what positions you’re coming from, as the readings (even in their very basic and introductory nature) suggest, that’s a position that’s open to debate. I would argue the same about his statement that “[w]e could say that technologies are market-driven, but we wouldn’t want to mistakenly believe that the market overdetermines technology. As if the market were some uniform entity. As if the market were not capable of error.” The market had nothing to do with the Internet: that was all government and university-driven. Ditto for the space program. I’m not disagreeing with Alex for the sake of disagreeing, but simply to say that disagreements about positions offered by readings in the course are different from disagreements about how the course is conducted, and I suspect that the course leadership might have some idea about the types of engagement they were trying to promote and the range of positions they were offering for examination. And that’s why I find myself liking the generous-but-skeptical way I see Steve Krause thinking about the course leadership’s methods when he observes that “Knox et al seem to be attempting an alternative to the ‘drill and grill’ approach, though it remains to be seen if they’ll be successful. 40,000 people have signed up for this MOOC, and I have to wonder if many/most of them will understand the dispersed learning experience. And I have to wonder if this dispersed kind of learning is ultimately scalable.” This experiential mode is a good thing, I think, and I’m curious to see how my fellow participants find their own ways through the material. With 41,000 participants, there’s way more activity and interaction than I could ever take in, but I’m starting to get a handle on which threads I might check in on — journalism has long demonstrated, and web discussion fora have long confirmed, that the ability to write a kicky and informative headline and lede can sometimes give you an idea about the quality of the discourse within. Text is the dominant mode of expressing academic knowledge, but digital environments are multimodal by nature – they contain a mixture of text, images, sound, hyperlinks and so on. To express ourselves well on the web, we need to be able to communicate in ways that are “born digital” — that work with, not against, the possibilities of the medium. This can be challenging when what we want to communicate is complex, especially for those who are used to more traditional forms of academic writing. Nevertheless, there are fantastic possibilities in digital environments for rethinking what it means to make an academic argument, to express understanding of complex concepts, and to interpret and evaluate digital work. That open-ended and multi-modal approach to a final project has a lot of people in the course nervous, but also makes me really excited: there’s finally starting to be some big, widespread recognition of and engagement with (and even validation of?) the affordances of new media composing. Even if 90% of MOOC participants drop out, that’s still 3100 new media compositions to be excited about. Anybody looking for a possible Kairos Topoi submission? I’d love to see a big-data approach to assessing that corpus of new media compositions. Talk to me. A question for you, reader: what American or English-language songs would you play for Afghan students in order to both (1) introduce them to the broad range of English-language musical culture and (2) help them build their English listening and interpretation skills and familiarity? There are some rules. My question is educationally motivated, so any music shared should support Afghan and Islamic values, and should promote the values that the Afghan educational system is trying to promote. No references to alcohol or drugs. Nothing that would be perceived as non-Islamic proselytizing. This includes no mentions of Jesus, the Bible, or biblical figures. Consider carefully the place of cursing and anti-establishment rhetoric in the context of a fledgling Islamic republic attempting to promote the rule of law. Here’s an inital stab pedagogy: every week, make a playlist available to students. For homework, have each student choose a song he or she likes best and try to write down and learn the lyrics. In class, do some karaoke-style recitation, and then have discussion about vocabulary, cultural referents, and interpretation. I’m seeking as diverse a sampling as possible, and hoping for music that might in some way be both representatively American or Western and that might be stuff they haven’t encountered before. I’d be grateful for any and all suggestions in the comments. Six days of the week, I’m up at 0445 or 0545, depending upon whether I’m ambitious enough to make it to the gym or lazy enough to roll over in my bottom bunk for another hour’s sleep. I’m in one of seven tiny shower stalls in the men’s washroom by 0550 and dressed in my desert camouflage uniform and cap and sand-colored boots and walking down the road past the airfield and the International Joint Command headquarters to KBR Dining Facility #2 by 0620, where I’ll wash my hands at the automatic faucets over the stainless steel trough before scanning my meal card and taking a plastic tray and paper plate to the line, where I’ll get a bowl of oatmeal with some milk and a bowl of fruit cocktail mixed with fresh watermelon and plain yogurt, and sometimes half a danish. After breakfast, it’s back to the barracks to brush my teeth with bottled water — the wash water isn’t potable — and pick up my kevlar helmet and body armor and head downstairs to the vehicles. I usually ride in one of the two up-armored SUVs that always travel together, but our group has two mini-vans to travel in as well, though only the SUVs go outside the wire. Most days we don’t go outside the wire. 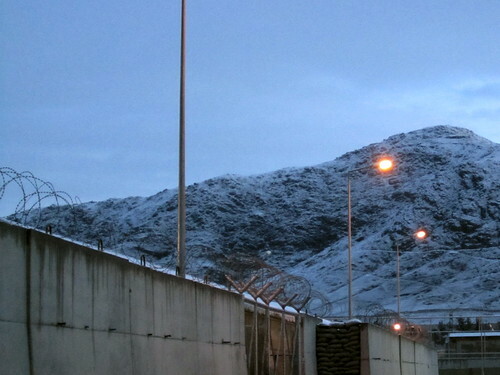 Instead, we follow the perimeter road around the airfield through and past multiple separate gated checkpoints with armed guards, stone walls and Hesco barriers and concertina wire and machine guns on one side and concertina wire and Kabul traffic on the other. The drive takes less than half an hour, long enough to see the Afghan day workers waiting to get through the biometric identification at the gates, to see how thick the haze is over Kabul, to pass the truckers huddled around cookfires beside their blankets and brightly colored and decorated rigs on the side of the road and the half-built apartment buildings and the pack of wild dogs and the mine-clearing operation with its earth-mover and lone ambulance and woefully under-armored Afghans. The perimeter road is part paved and part potholed dust and gravel, mud and enormous puddles now in the rainy season. I’ve gotten used to the smell of Kabul, which is mostly the tang of diesel mixed with other scents of burning — plastic, sometimes cooking, woodsmoke — and kerosene, with a usually faint but omnipresent sour note of sewage. Much of the time, the building we work in has the same smells, though less intense. The bathrooms have straddle-style squat toilets with faucets and pitchers of water beside them for flushing. We work out of a few shared offices on one hallway that we share with the Turks and our translators; my own desk is next to the window in a long, narrow room that has six other desks and paint-peeling walls and books and maps and office supplies scattered everywhere, a reflection of its its transient nature, I suppose. The building is wired partly on the inside, with steel sleds suspended two feet from the ceiling carrying electrical and communication cables, and partly on the outside, with other wires going in and out windows and up the side of the building to a hodgepodge of dishes and antennae on the roof. Our internet is via satellite from France, and goes down as frequently as the power. Stray cats roam in and out of the building, begging loudly, but too cautious by experience to get close to humans. When some aspect of my job calls for me to communicate with students or faculty who don’t speak much English — my Dari is still limited to a few words and phrases, though I’m trying to learn in my off-time — I’ll go across the hall and ask for help from the translator assigned to me, S., who I was somewhat surprised to find is female. of planetary capitalism creating a space that is both smooth (presenting an unimpeded global field of accumulation) and striated (in the sense of being savagely segmented by differences on which capital can play)… Repeating what is both a weakness endemic to Marxism, and perhaps a particular vulnerability in Negri’s work, Empire emphasizes the smoothness — the homogenizing effects of global capital — at the expense of the striating divisions. By declaring the centrality of immaterial labor, it proposes a consistent underlying class composition running throughout the multitude. 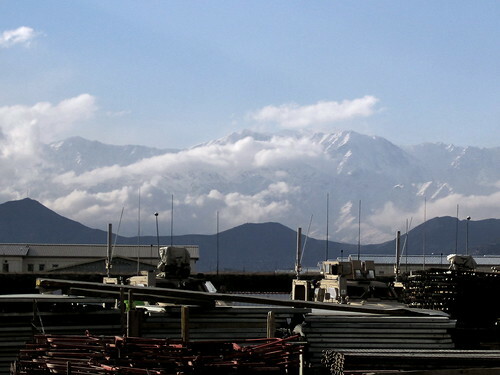 Because this class composition is posited as already existing, the successes — or failures — of communication linkages between insurgencies, which might be thought of as playing a critical role in constructing alliances, is devalued. With the very real disjunctions and frictions between different strata of labor occluded, Empire can celebrate the spontaneous solidarity of the multitude without descending to the awkward business of sorting out just how much commonality there really is between participants in, say, the Tiananmen Square revolt, the Intifada, and the French general strike or the Seattle Showdown, or how they might actually be tied together. It’s an accurate critique, I think, and takes on Hardt and Negri in useful ways. (I enjoyed Empire and found it a provocative and productive spur to my thinking; Multitude, somewhat less so, in the way that it was mostly a muddled rehash of the previous book without anything terribly new; and reviews of Commonwealth were so mixed that I never got around to it. I suppose I should.) The bit about the stratifying combination of smoothness and striation as it operates in global capitalism (though, as usual, I find that representation of all-powerful agentless capitalism less than useful) hit home for me, though, in that I’ve been trying to figure out how textbook ordering will work for the Afghans when the U.S. presence withdraws, especially in the area of ESL/EFL/Basic Writing instruction. I’ve asked for some examination copies of ESL/EFL/Basic Writing textbooks that looked like they’d be particularly useful for the Afghan instructors and students in the writing curriculum I’m helping the instructors develop, from a well-known and well-regarded publisher that I know (and many of us know) from experience is highly familiar with the shape of our field. Interestingly enough, I discovered that there were export restrictions on the textbooks, for intellectual property reasons. Because of the ongoing American presence for the next few years, we’re still going to be able to get the books, but the situation raises questions for me about the shape of our field: does the play of intellectual property concerns in the global textbook economy mean that even ESL/EFL instruction, as a subfield of the almost entirely American field of rhetoric and composition, is in its delivery effectively an English-Only discipline rather than what Lu or Canagarajah might call a World Englishes discipline? Does even a subfield that seems like it ought to export amazingly well find itself turned back inward at the U.S. border because of intellectual property concerns; because of IP restrictions on market transactions? And as a result of those concerns and restrictions, should we then consider a possibility that — rather than serving the ends of promoting World Englishes, as many of us might hope — ESL/EFL instruction is ultimately consigned to serving a naturalizing, homogenizing function? I suspect that’s a large conclusion to draw from a small hiccup in textbook ordering. There’s an apocryphal story supposedly told and repeated in the past year or so by a high-ranking general here, one I’ve only heard secondhand, and so I don’t really have access to verifying its details or its telling, but it’s a grim story, and goes something like this: there’s a mixed unit operating in the field in one of the more dangerous places in Afghanistan, US soldiers and Afghan National Army (ANA) soldiers, and they come under fire from insurgents and call for reinforcements and a medevac for the injured, only conditions are such that the Americans can’t figure out where they are from the landmarks and the Afghans can’t read the map well enough or communicate on the radio sufficiently clearly to give the inbound helicopters an accurate fix on where they are. By the time the helicopters locate them, there’s no one left. The medevac becomes a casevac. It’s told to highlight the perils of miscommunication or lack of communication across languages and cultures, and told in service of a commitment to English-language education for ANA soldiers. Afghanistan has two official languages and a number of others besides, and rather than build L1 literacy and then L2 proficiency, the notion is to move directly to L2 proficiency and literacy for all Afghans, using English as the acknowledged foreign alternate language or interlanguage for purposes that most Americans here would consider to be pragmatic, or what James Britton and others have called “transactional”: language that gets things done; that performs the work of the world. To that end, the English as a foreign language classes here are designed and taught to promote and assess pragmatic linguistic competency in reading, listening, speaking, and writing. As one would expect, at the Afghan institution that I’m working at until mid-June, English instruction is understood as purely and deeply pragmatic, much as English seems to be used to accomplish the quotidiana between and among the diverse soldiers of the international force at the base where I’m housed, Israelis and Mongolians and Greeks and Romanians and British and Dutch and French and Belgians and Americans and Germans and Portuguese and Australians and Italians and others. I’m writing this at a picnic table outside. It’s warm for a January day; an afternoon in the 40s, a cool breeze doing nothing to cut through the heavy haze, and three Czech smokers come outside for their before-dinner fixes as the sun starts to go down. Behind me, there are the main doors to the barracks with laser-printed semi-official reminders and dicta and policies; to my left, the comings and goings from the flight line that I’m strictly forbidden from photographing, Bulgarian Hinds and white-painted UN cargo helicopters, the Air Force’s C-130s, the 727s and 737s flown by Ariana and Pamir bound for Kuwait or Dubai or Kandahar or other polyglot locales where English can similarly serve as a second language or — in its function as a “bridge” language — sometimes as something approaching a lingua franca. All around, there are the technological implements of communication: cell phone aerials, satellite dishes craning their concave faces skywards, coax and Cat 6 cable strung through the hallways of the barracks, radio towers topped by their blinking caution lights, and to my front, the vehicles studded with their electronic countermeasures antennae that serve to protect against IEDs activated via various electronic devices when powered up, generating around them a traveling null zone empty of any indigenous electronic signals, an electromagnetically-produced decommunicationalized bubble that leaves pedestrians glaring at their cell phones and then at us — the high-tech multinationals who travel swiftly through their streets; who use English as our own sort of interlanguage — in frustration. Yes, there’s some imperialism here, arguably even something of a colonialist project, and I’m ambivalent about some aspects of it, even — as I’ve noted before — while I believe in the need for and usefulness of literacy in service of the rule of law and self-determination for Afghanistan. That imperialism is one analogue of the “English-only instruction” that Min-Zhan Lu compellingly argues “parades the (seldom delivered) promise of enduring access to wider communication and better educational and job opportunities” (608), and English (though not English-only) instruction is often posed as offering precisely those promises here. While I think Lu’s characterization of “English-only instruction” sometimes problematically extends into caricature the practices Bruce Horner and John Trimbur thoughtfully dissected in their 2002 article “English Only and U.S. College Composition,” I like the way she poses English-only advocates against what she terms “living-English users,” who are users of an English “kept alive by many and by many different ways of using it, each of which is itself a living process in-the-forming: informing and informed by the specific, different dynamic, historical and social contexts of individual acts” (608). So, too, do I buy the contention she makes with Horner, Trimbur, and Jacqueline Jones Royster that “notions of the ‘standard English speaker’ and ‘Standard Written English’ are bankrupt concepts. All speakers of English speak many variations of English, every one of them accented, and all of them subject to change as they intermingle with other varieties of English and other languages” (305). In a bit of curious synchronicity, I picked up a copy of Greg Mortenson’s Stones into Schools from the free book table. I’ll fit it into the bag somehow. In my last post, I started to talk about how the topic of religion seems curiously diminished in many of the conversations going on today about the interrelated challenges of corruption, violence, education, custom, and gender relations in Afghanistan. Mortenson’s project plays direcly into those conversations, given that his organization’s mission is “[t]o promote and support community-based education, especially for girls, in remote regions of Pakistan and Afghanistan.” One view that seems to predominate in Western conversations about Afghanistan is that education can serve as at least part of a solution to the persistent problems of misogyny, violence, and corruption, but I haven’t registered many westerners as talking about how Afghanistan’s religious culture might contribute toward that solution, as well: in fact, I more frequently hear Islam rhetorically positioned as a significant component of those problems rather than as an inextricable part of Afghan culture that those who would seek to help Afghanistan move towards some form of self-sustaining democratic modernity might embrace. The conventional wisdom is that education and development are impossible in insecure parts of Afghanistan that the Taliban control. That view is wrong. I haven’t read Mortenson’s book yet, but the stricture against foreigners is both expected — most development literature points toward the need for self-determination, and that’s the end the Army is working toward in Afghanistan, as well — and interesting, because of the problem of what constitutes development, and where it comes from. 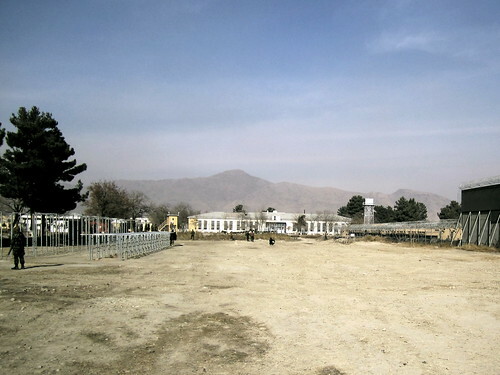 Afghan policemen hijacked the event, stealing dozens of kites for themselves and beating children with sticks when they crowded too close to the kite distribution tent. Most bore messages about the importance of gender equality, but there was hardly a girl with a kite, although plenty of girls were around. One DPK staff member pushed through the crowd to give 10-year-old Shaqila Nabi a kite; her sister Farzana, 8, had wanted one, too, but a policeman had just swung at her with a stick and she had darted out of harm’s way, and out of sight. Shaqila raced back to her father, Gul Nabi, a horse wrangler peddling rides. He promptly took the kite and gave it to a boy. “He is my son and he should get the kite,” he said. It’s intended to come across as painful, I’m sure, and that’s why the author led with it: the anecdote is full of abject rhetorical appeals to pathos carefully chosen to communicate the challenges the author sees as facing Afghanistan. Still, those appeals to pathos don’t make the article’s representations any less true, and as I’ve processed through the various stations of this CONUS Replacement Center in preparation to go over there, they’ve been on my mind. Today seems like a good day to again acknowledge that I feel tension about the institution for which I worked as a soldier, from 1992 to 1996, and again work for as a professor, since 2006. When I was a soldier, the Army was the best group of people I’d ever worked with, and after a couple years — first as Corporal Edwards, and then as Sergeant Edwards — the job was the first time I’d ever been genuinely good at something that challenged me. It was also the first time I felt I was doing something important; something bigger than me. I feel the same way now: after graduate study and a few years as a professor, I’m again feeling like I’m getting good at what I do, and again welcoming the feeling that I’m doing something important, serving something bigger than me. I know the Army does good things sometimes. (Sometimes it doesn’t. We know that. It’s important to acknowledge.) I know it’s full of people who are enormously committed to doing good things, and to doing things that they believe are good. Like the American culture from which it draws its soldiers, it has its share of stupid and vicious people as well — Steven Green, Lynndie England, William Calley, the helicopter pilot identified as Crazy Horse 18 of the 227th Aviation Regiment — but they are the exception to the rule constituted by men and women I served with in the 24th Infantry and the men and women I work with now; people who are good-hearted, caring, massively and intimidatingly competent, and committed to an ideal of voluntary service that many folks can’t imagine. But I’ve been strongly opposed to the second war in Iraq since its inception, and agree with the argument that basing a decision to go to war in which humans will die upon pretenses that one knows are false can only be characterized as evil. The fact that over 100,000 Iraqi civilians have been killed in that war is an after-the-fact measure of the magnitude of the effects of that evil. Some American soldiers, like Steven Green, Lynndie England, and Crazy Horse 18, bear willing and active complicity in that evil. Worse to me, it seems, is the way that such evil contaminates even those who try to do the right thing: those who serve well in Iraq, who do good deeds, build schools, protect innocents, and even those at home who allowed or promoted the election of a President who made that decision to go to war on premises he knew were false — we’re all brushed by that evil. I try to do the right thing. I talk to my students about what might and might not constitute the right thing to do when they become officers. The Orientalist gives up lunch hours each month to facilitate discussions among those officers-to-be about ethics in the military. And as wrong as I feel Iraq was (and as strongly as I support those over there trying to put together the pieces so we don’t leave the place even worse than when we went in), I want to believe that we’re doing the right thing in Afghanistan. I’ve just finished Amin Saikal’s Modern Afghanistan, and have begun Neil Moran’s Kipling and Afghanistan and Greg Mortenson’s Three Cups of Tea, with Sarah Chayes’s The Punishment of Virtue and Margaret Mills’s Rhetoric and Politics in Afghan Traditional Storytelling on deck. The Taliban’s corrupt medieval thuggery and support of al Qaeda’s vicious tactics, its brutal and hideous misogyny, and its opposition to education, enlightenment, and fundamental human rights seem to me to entirely merit (and, in fact, morally require) the presence of the International Security Assistance Force (ISAF). Afghanistan is a place where 14% of the population is literate, and where soldiers — and civilians — have begun to do good things. That’s a project to which I hope to contribute. Next year, I deploy to Afghanistan for six months, to help with language and literacy education. I’ll be in tension about it then, perhaps much as I am now. But I’m hopeful. I think we can do good things. As with all material on this blog, the opinions in this post are my own, and do not represent those of any institution with which I am associated. Our school year here is already underway and at speed, with tomorrow being lesson 4 of a 40-lesson semester. I’m happy with what I’m teaching, and happy to have had a bit of a hand in shaping the curriculum related to some of the courses I teach. The students are wonderful, as they always are, and I think I’m going to try keeping a teaching journal again, as I’ve done sometimes in the past. One nice thing about my institution is that we’ve been lately getting some recognition for the teaching we do: according to the U.S. News and World Report, we’re ranked #14 nationally for top liberal arts colleges, and #1 for top public liberal arts colleges. In a similar vein, Forbes magazine ranks us at #6 for top 10 colleges overall, and #1 for top public colleges. I’ll admit to having some questions about methodologies for those rankings, but I don’t mind at all that people think we’re doing good work here.